"It is so easy for the lower frequencies to pile up and the mix to become muddy, so I try to ensure that anything that doesn’t need low frequencies present, I scoop out with an EQ. Take the hats for example, they don’t need anything below 500Hz in most cases, so I make sure that the low frequencies are EQ’ed out. Sometimes you can’t even hear the difference individually, but on a bigger scale if you apply this to all higher frequency elements you will notice the difference in your mix." "This is a bit of a secret of mine, and is especially helpful for rooms with poor acoustics where the sound you are hearing may not be an accurate representation. Pink noise is equal energy per octave so is closely linked to how the human ear perceives sound and roughly how a mix ought to sound. If you take a sample of pink noise and put it on a channel with the output around -1/-2 dB, then solo one of the elements alongside the pink noise and adjust the volume of the element so you are just able to hear it amongst the pink noise sample. Do this for all your elements individually and the mix you should be left with will be a good framework and a solid base to work from. Obviously tweak to your own taste as you will want to make certain elements more prominent than others but it is a good place to start." "It is important for me when doing slight EQ changes to do these with everything playing and not solo’ing the element you are EQ’ing. Whilst it might sound good solo’ed, the most important thing is how it sounds in context to the rest of the track, as the combined frequencies of the different elements will affect the perception of the element you are EQ’ing anyway." "I can’t stress how important this is! You may have great monitors and a really good listening set up (most people don’t have both), but the majority people won’t have the same luxuries so it is key to listen to the track on as many different speakers and set ups as possible, especially the ones your track is likely to be played in. 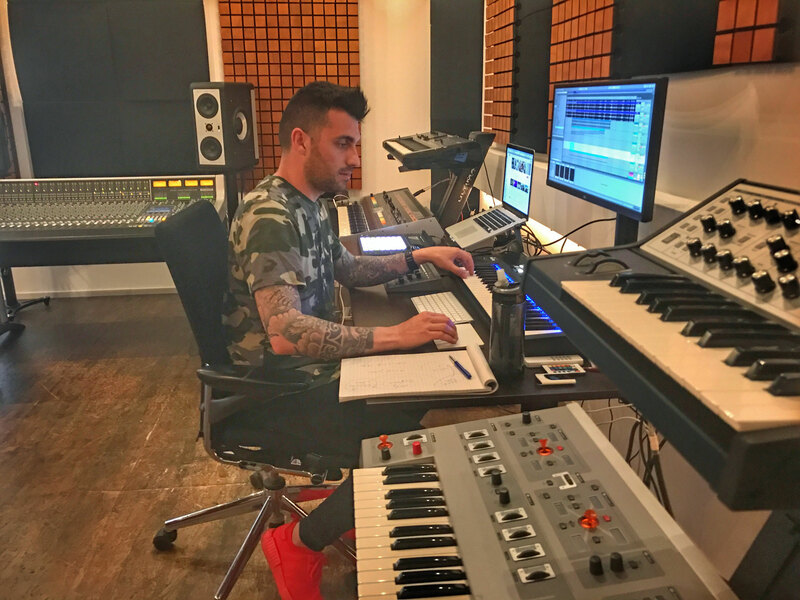 For dance music a lot of DJs will make a rough mix and then play that in the club to check the mix, before going back into the studio to tweak the mix as they may hear discrepancies that they didn’t hear in their studio. Or if the track is a pop song then is likely to be put through its paces with the infamous car speaker test." "It might be a lot cooler to spend all your money on hardware synths and rack effects, but they are no use if your monitoring environment isn’t as good as it can possibly be. It is vital that what you hear from your speakers is as close as possible to the sound that is being produced, and things such as bass traps and acoustic tiles can make a big difference if placed right, especially in the low end, which is the frequency range most effected by things such as standing waves caused by an imperfect room."